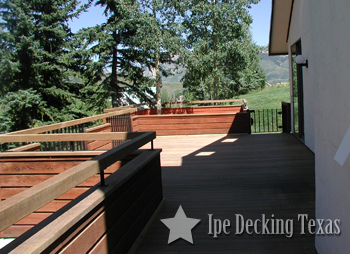 We are the number one supplier of ipe decking in the great state of Texas! Whether you're looking to build a luxurious backyard retreat or a welcoming front porch, we have the perfect materials for you. We understand the many stresses a Texas deck will have to endure, and so we strive to offer only the finest wood in the world, wood that is not only beautiful, but durable as well. Years of testing have proven ipe lumber to be the best decking material out there, and we are proud to say we only sell high-quality hardwood decking. We know you can't build a deck with just wood, no matter how amazing that wood is, so we also offer a complete line of tools and accessories. Like our lumber, great care has gone into making sure we only sell the best tools. So what are you waiting for? Browse our site and learn all that we have to offer, then give us a call or use our online contact form to get in touch.